From 16 through 18 January 2017, the conference 'The Art of Law: Artistic Representations and Iconography of Law & Justice in Context from the Middle Ages to the First World War' took place in the Groeningemuseum in conjunction with the exhibition 'The art of law. Three centuries of justice depicted'. The publication of selected contributions to this conference has now been published by Springer in the series Ius Gentium: Comparative Perspectives on Law and Justice, edited by Stefan Huygebaert, Georges Martyn, Vanessa Paumen, Eric Bousmar and Xavier Rousseaux. The contributions to this volume were written by historians, legal historians and art historians, concentrating on topics from the broad subject of historical legal iconography. 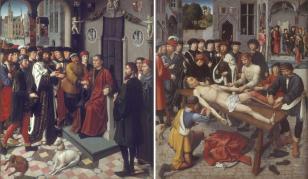 How have the concepts of law and justice been represented in (public) art from the Late Middle Ages onwards? 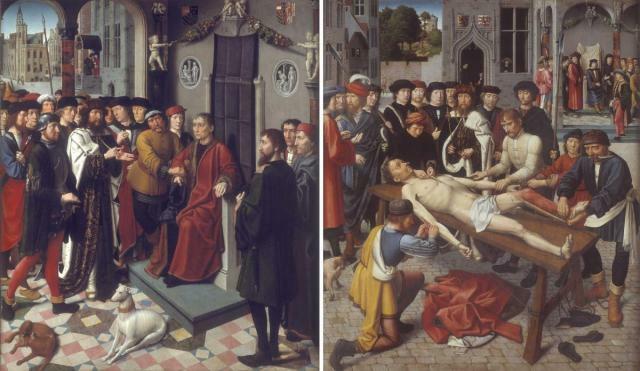 Courtrooms as well as churches were decorated with inspiring images about justice. At first, the religious influence was enormous, but in the Early Modern Era new symbols and allegories, such as Lady Justice, started to appear. Throughout history, art has been used to legitimise the act of judging, but artists have also satirised the law and the lawyers. The book illustrates and contextualises the various interactions between law and justice on the one hand, and their artistic representations in paintings, statues, drawings, tapestries, prints and books on the other hand.